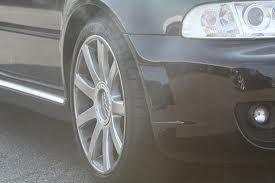 Brake smell and odour coming from the wheel area may be a warning sign of a serious brake problem. You may also notice smoke along with brake smell and odour. Brakes smells and odours are an indication of a problem and require immediate attention to prevent further damage to the brake system. Some people describe a burning brake smell as being similar to the smell of burning rubber or a burning resin smell. Burning smells and smoke are usually due to excessive heat build up. First of all check that your parking brake is not engaged and dragging on your brakes as you drive. If this isn’t the case seek immediate assistance from a professional. Drive into Precise Car Service, for a free diagnosis. Our team of fully licensed professionals is ready to inspect your vehicle and provide honest professional advice when you need it. Precise Car Service is your full service brake repair, diagnosis and maintenance shop serving Hamilton, Stoney Creek, Grimsby, Winona and Burlington with over 30 years of quality, dependable, friendly service. Contact us at 905-643-4460 or complete the inquiry form with your questions and we will be happy to help you with expert and honest advice and service.